RCS boasts a super fast, super efficient, super innovative, super creative, super flexible and all round super professional logistics team. To maintain swift delivery timetables, RCS has a team of 20 logistic experts who are fluent in 15 languages, and available 24/6 to guarantee smooth delivery. Our advanced logistics infrastructure facilitates smooth pick-up and delivery in 128 countries around the world, ensuring that you always get what you need and expect, when you need it. 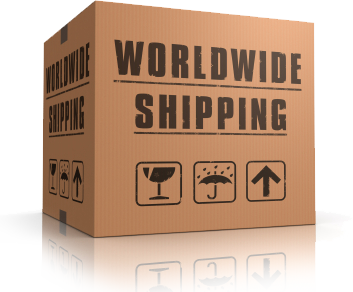 Our experienced logistics team utilizes the services of trustworthy local representatives and freight forwarders in every key market around the world to deliver smooth, safe and cost-effective transactions keeping you constantly up-to-date with the latest information, shipment updates, competitive prices, and trends. Placing security as the top priority, our team employs resourcefulness in saving time and money throughout the delivery chain. Flexibility is the key word in our world. Every contact and every deal is unique, and we strive to tailor our solutions to fit any requirement. This sort of dedication and creativity is what sets us apart and our professional yet creative service translates into quick, flexible and profitable deals that enable you to get an edge on the competition. RCS’ consistently strong financial position and proven reputation offers buyers and sellers the added value of confidence and peace of mind in a dynamic and complex trading environment. © 5773. RCS. All rights Reserved.